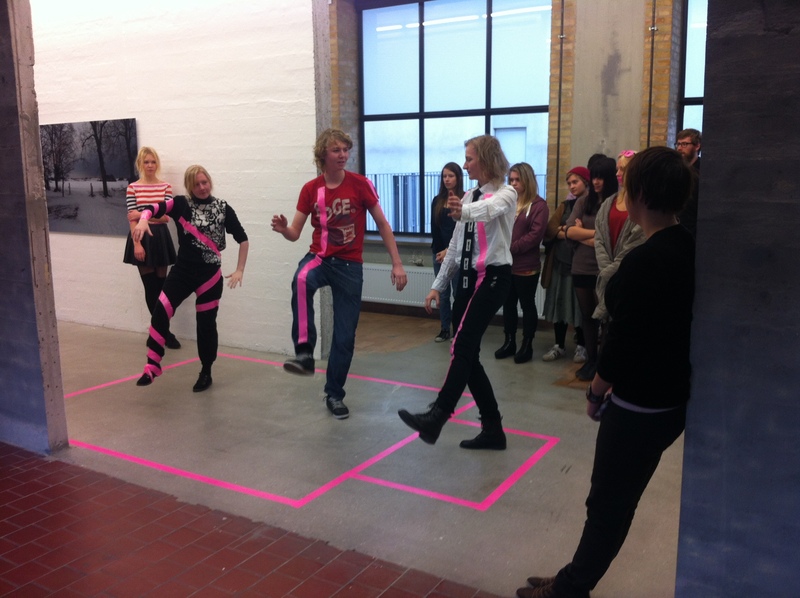 Sandro Masai and Christian Skjødt have held performance art workshops at Kunsthal Nord’s gallery space in 2013 organised by Astrid Byrial. Performance is often characterized as being a bodily action by the artist himself in a given space in front of a live audience. The workshops focused on performance as an art form and a mean of communication. The interactions between performer, space, action and spectators are the workshop essential components. The students were challenged to include various objects to be co-creative players in a series of staged storytelling. 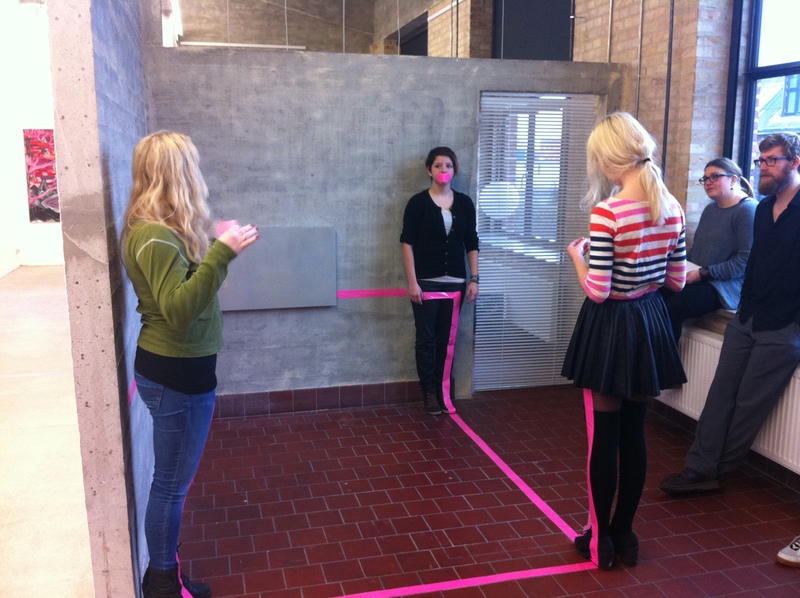 Workshop IntoArt was a Kunsthal Nord‘s communication platform and experimental learning environment for contemporary art. IntoArt offered workshops, courses , guided tours and other activities for young people in close cooperation with artists and professional art intermediaries. IntoArt was an innovative and social environment in which there was both a focus on play and high professionalism in the interaction between contemporary art and the students. 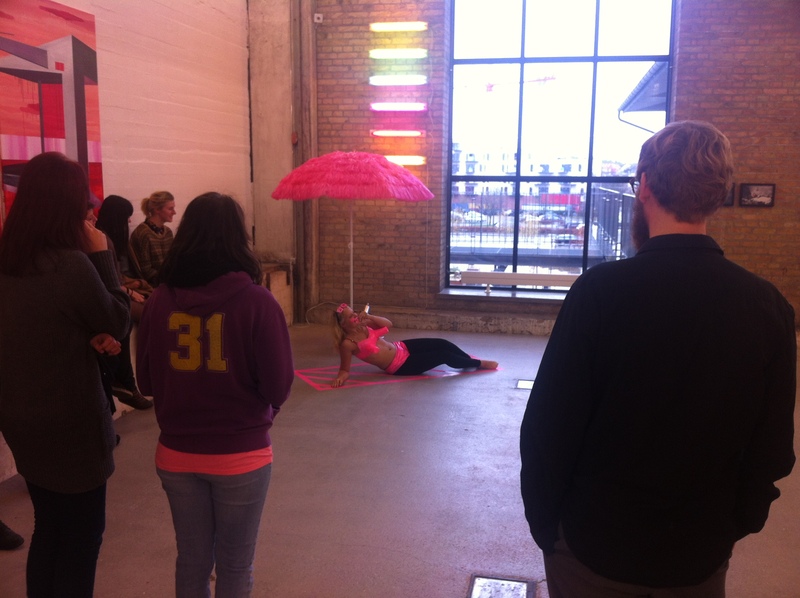 IntoArt was a meeting place for reflection, experimentation, learning experiences and artistic production.